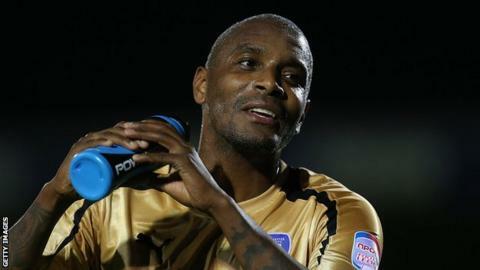 Colchester United striker Clinton Morrison will leave the club when his contract expires this summer. The 34-year-old joined the U's two years ago, but has been restricted to 19 starts this term, scoring twice. "I could have probably stayed. But I want to play football for another two or three years," the former Crystal Palace forward told BBC Essex. "I haven't really enjoyed myself in the few years I've been here. I've enjoyed bits - it's a great changing room." Morrison has yet to decide on a new club for next season, but Saturday's season finale at Walsall will be his last match in a Colchester shirt. The former Republic of Ireland international has played 670 professional games and scored 172 goals for Palace, Birmingham City, Coventry, Sheffield Wednesday, MK Dons, Brentford and the U's. He has just four goals from 70 Colchester appearances, though, and has often been used in an unfamiliar lone-striker role. "I'm not going to moan that I haven't played as much as I should do. "But when you're getting towards the end of your career you want to play as much as you can. I still think I've got a lot to offer," he said. "I've never played one up front and chasing into channels. It's a learning curve. The fans have been patient with me and I'd like to than them for that. Next season, where I go, I will score goals."